Established in 2014, The Amazing Chocolate Workshop describes itself as a ‘proud purveyor of mind-bendingly realistic chocolate creations’. With over 110 amazing items from spanners to cameras, everything is hand-made from fine-grade chocolate. Today, the company operates across 75 UK locations, including Westfield Shopping Centres and Merchants Quay Ireland. The Workshop initially engaged with Lolly in May 2017, and – at this point – the company had already considered a number of other EPoS systems for its growing pop ups and retail outlets. This included two prior trials with competing solutions, but each was deemed unsuitable for the Workshop’s requirements. Following a trial of Lolly Smart with WiFi and Cash Drawer, it became clear that this was the best solution given its simple and rapid deployment. Through the trial, Lolly was able to demonstrate the ease of use of the product, coupled with the support the company could provide. Lolly was awarded the contract in July to partner the Amazing Chocolate Workshop’s 75 Christmas pop ups – providing one till in each location. In order to support Amazing Chocolate Workshop’s requirements, Lolly created two configurations: one for the UK outlets and another for Ireland – each working in different currencies and different pricing. 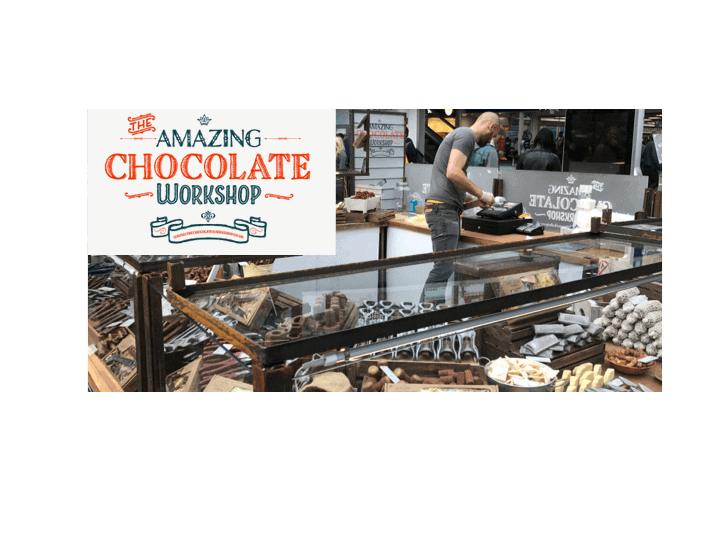 Damien Toms, Board director at The Amazing Chocolate Workshop, said: “Lolly provides excellent support levels and is always rapid to respond both in and out of office hours – for staff at all levels – both during the build deployment and now with lifecycle management. The system also informs each location where cases of chocolates are below preferred stock levels, to ensure they can be reordered via the company’s own warehouse. The solution allows managers to create the transfer from picking lists. Breakages are also recorded at the Point of Sale for instant reporting and stock adjustment. And Wastage functionality ensures real-time stock control according to the various locations. There was also a reported case of a shopping centre losing power, where The Amazing Chocolate Workshop has a pop up. In spite of this, the Lolly till continued to trade using its back-up battery supply. Peter Moore, CEO of Lolly, comments: “The Amazing Chocolate Workshop is a fantastic concept, and the Christmas period represents a major trading period for the company. The stands can often be ultra busy, but the easy deployment and rental of the Lolly Smart product makes this the perfect option for a pop up of this sort.